Impetigo is a highly contagious disease. 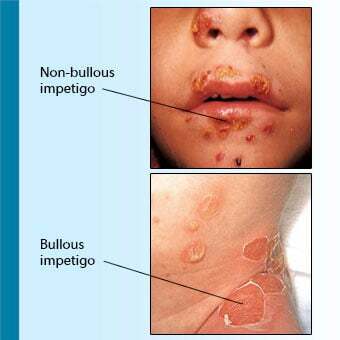 Impetigo is easily spread from person to person by direct contact with the lesions and/or indirectly by touching items (clothing, sheets, or toys) that have been used by individuals with this skin disease. Indirect transmission is less frequent than direct person-to-person transmission. 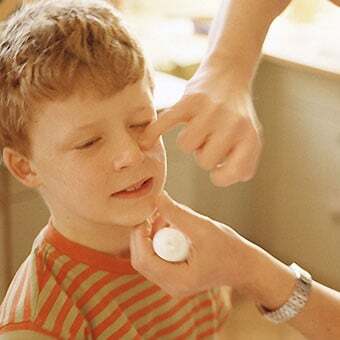 Bacteria cause impetigo; group A streptococci and staphylococci are the organisms that most frequently cause impetigo. How long did the symptoms of your impetigo last? Was there anything in particular that helped with pain/symptom relief? 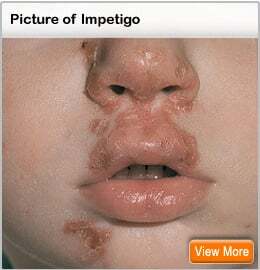 What was the treatment for your impetigo? If known, what caused impetigo in you or your child? Did someone in your household catch impetigo from a highly contagious setting? Share your experience. Direct and indirect contact can spread some types of rashes from person to person. Rash treatment depends upon a rash's underlying cause. A rash that sheds large amounts of skin warrants urgent medical attention. Rashes can be either contagious or noncontagious. Noncontagious rashes include seborrheic dermatitis, atopic dermatitis, contact dermatitis, stasis dermatitis, psoriasis, nummular eczema, drug eruptions, hives, heat rash (miliaria), and diaper rash. Rashes usually considered contagious include molluscum contagiosum (viral), impetigo (bacterial), herpes (herpes simplex, types 1 and 2 viruses), rash caused by Neisseria meningitides (N. meningitides) (bacterial), rash and blisters that accompany shingles (herpes zoster virus), ringworm (fungal) infections (tinea), scabies (itch mite), chickenpox (viral), measles and rubella (viral), erythema infectiosum (viral), pityriasis rosea (viral), cellulitis and erysipelas (bacterial), lymphangitis (bacterial, and folliculitis (bacterial). A bacterial skin infection caused by the staphylococcus or, more rarely, streptococcus bacteria. The first sign of impetigo is a patch of red, itchy skin. See a picture of Impetigo and learn more about the health topic. A staph infection is caused by the bacteria Staphylococcus aureus. Staph can cause boils, food poisoning, cellulitis, toxic shock syndrome, MRSA, and various other illnesses and infections. 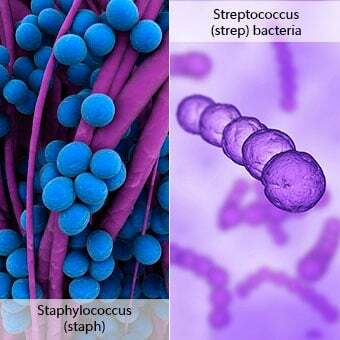 Most staph infections are transmitted from person to person.